Revered in her home state, she’s been a leading figure in Indian politics since her career took off three decades ago. The chief minister of Tamil Nadu has spent the better part of last year implementing schemes and projects for the advancement of her state. In an attempt to promote Tamil literature, she’s announced state awards for scholars of the language. And that’s not all. 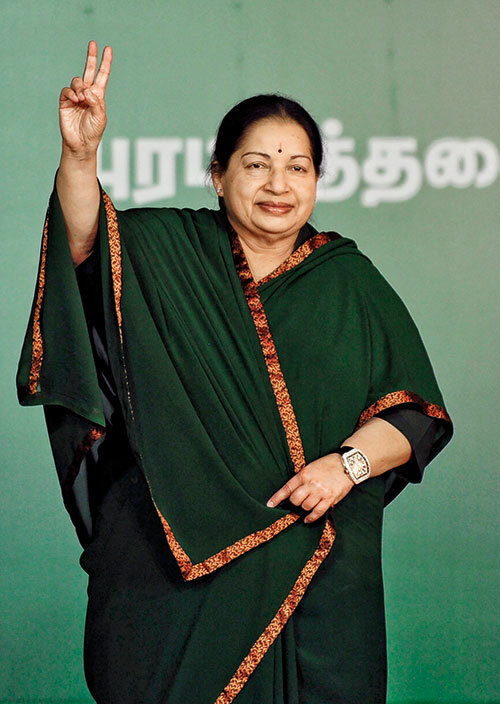 Her initiatives include the Amma mobile scheme and the inauguration of new housing units. She also launched Arasu Fibre, a scheme that aims to provide cheap internet service to households across Tamil Nadu. All these paid off as the state chose to give her party a consecutive second term in the elections last month. Read about our next power woman, Ekta Kapoor.